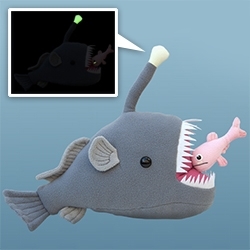 Deep Creeps Mariana The Anglerfish & Chummy stuffed animals are magnetically attracted and glow in the dark! 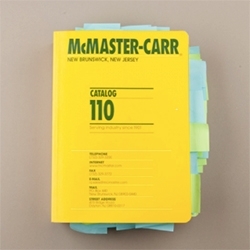 Masterlist - Curated goods from the McMaster-Carr catalog. 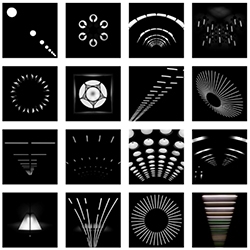 Beautifully displayed on a minimal website. 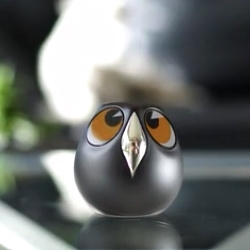 Ulo is a cute surveillance camera, a pet owl interacting with you through eye expressions. 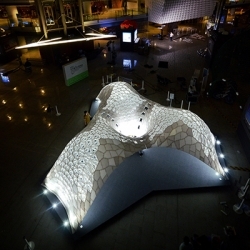 Made up of 1023 individual units, Vulcan by Beijing’s Laboratory for Creative Design (LCD) is the world’s largest 3D printed Architectural Pavilion presented at this year's Beijing Design Week. 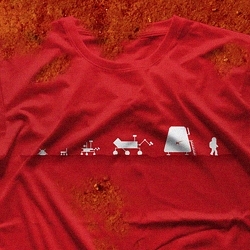 Evolution Of The Martian T-shirt. 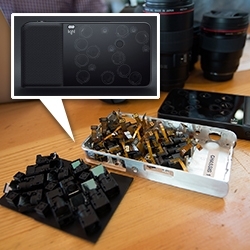 FEATUREDLIGHT L16 Camera - 16 cameras in one combine for up to 52 megapixel images, post processing depth of field control, 35-150mm zoom and more... and we got our hands on a prototype to see what's inside. The Saski (basket in basque) can be interpreted as a small chunk of history. 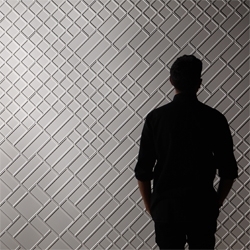 In this case, it has its origin in manual work by making a gesture to basketry work. 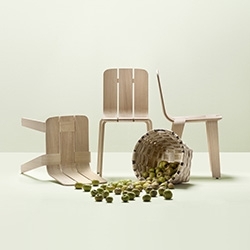 This chair features strips of wood that are bent and then joined together. 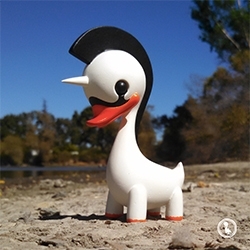 Swanicorn! Original colorway. Sculpted by Walter Jacott aka Chauskoskis and cast by Zeb Goodell. 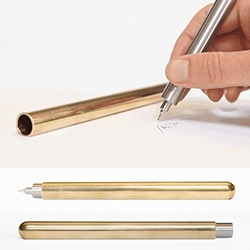 Parabo Press (from our friends at PhotoJojo!) 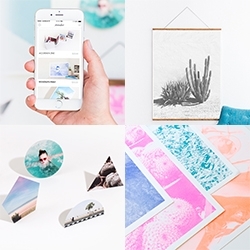 is a fun new printing service that offers surprising options like b/w engineering prints, color newsprint, risographs, shape prints, accordion zines... and the usual books and square prints too. 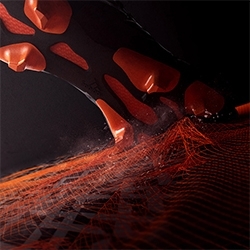 Adidas & X Primeknit by Future Deluxe - A mix of CG and live action shots went into creating these promo films for Adidas's new hero football boots that are currently being worn by the world's top players. 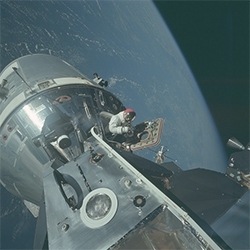 The Project Apollo Archive of photos on Flickr are amazing and inspiring to go through - from Apollo 7 to 17 view 12,426 photos! 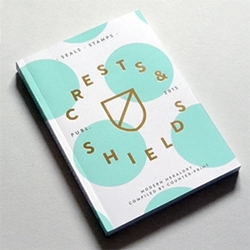 'Modern Heraldry: Seals, Stamps, Crests & Shields' is the latest book from Counter-Print by Leterme Dowling. 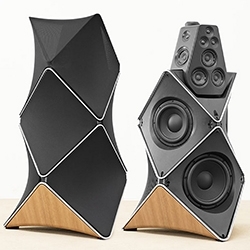 Bang & Olufsen BeoLab 90, designed by Frackenpohl Poulheim. 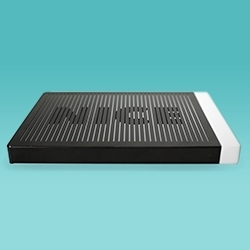 The speaker produces 360 degrees of sound with adjustable beam direction and width. 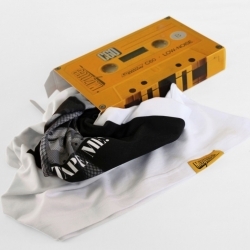 Muzitee Tape Me t-shirt includes a code to get a lifetime access to free fresh music from indie artists. You will get your tee in a special 80's tape replica package with a sticker and a handwritten “thank you tape card”. 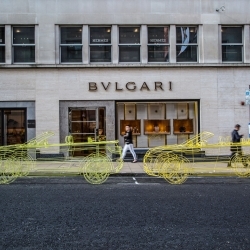 Land Rover has installed wireframe sculptures in London to introduces the new Range Rover Evoque Convertible. 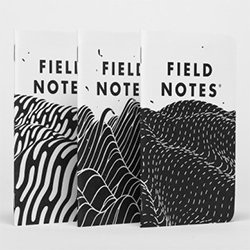 Brendan Monroe super limited edition Field Notes notebooks for XOXOfest 2015... a few are available at the field notes store! 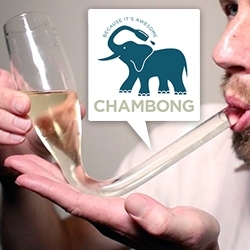 VIDEOChambong - the glass champagne bong? 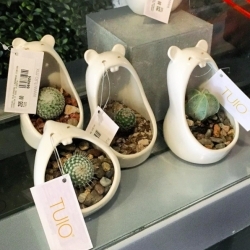 With adorable elephant logo... see how it's made. 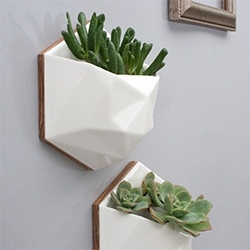 Clark Co brings their love of adventure and the great outdoors into the home through geometric design reminiscent of mountain ranges, colors inspired by sunsets and a product line that ranges ring dishes to hanging wall planters that inspire you to explore. 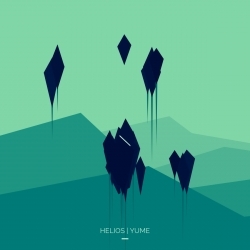 YUME is an interactive music experience. 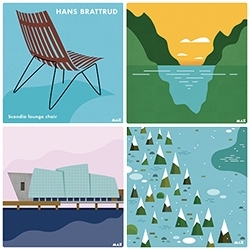 Explore and take control of sound. By Whitevinyl & Helios. 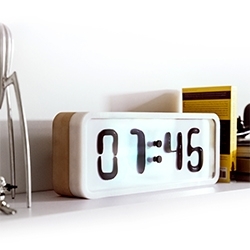 VIDEORhei - "prototype of an electro-mechanical clock with a liquid display,.. created by Damjan Stanković, executed in collaboration with Marko Pavlović and many other wonderful people." 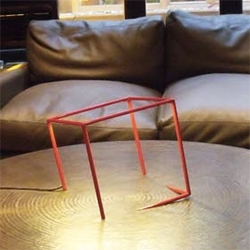 Lamp Urbicande by Cedric Dequidt - love the way it looks like this cube light is falling into the surface you place it on. 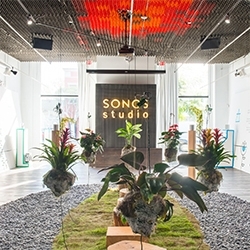 VIDEOSONOS Studio LA's Sonic Garden installation by sound and environmental installation artist, Mileece. Plants act as instruments to create harmonic symphonies using bio-electrical signals wired to its leaves which respond to human touch. Etude House Sweet Idea Bunny Nail Polish sets - the packaging makes the pairs look like bunnies, and you can even paint on tiny bunny heads. 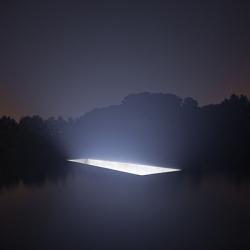 88888, a collaboration between Karel Burssens and Jeroen Verrecht, has unveiled a new installation that glow in the middle of the water surrounding the ancient castle of Horst, Belgium. 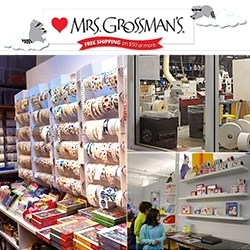 Mrs. Grossman's Stickers! 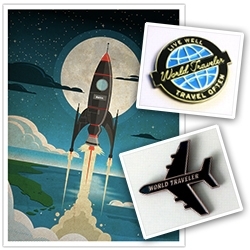 Feeling nostalgic for my 80's sticker loving kid days... just found out that these guys still exist, are right in Petaluma, CA and have factory tours! 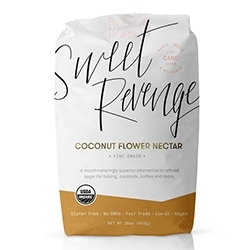 Sweet Revenge Sugar Co. a fine grain cane sugar alternative made from 100% Coconut Flower Nectar. Apparently you don't even need to adjust the recipe amounts. Also - fun name and branding. 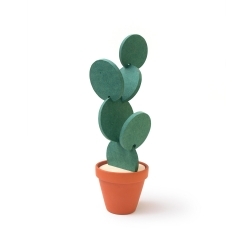 Designer Clive Roddy launches 'Cacti Coasters' designed to protect surfaces and securely interlock with each other, enabling you to build and arrange your cacti in a multitude of orientations and creative compositions. 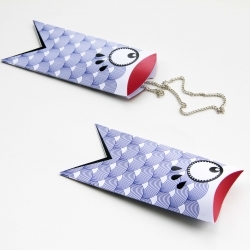 French designer Adrien Cissé introduces the "Sardines" the fish-shaped wall decor inspire by Koinobori fish, designed for Auguste Renard. 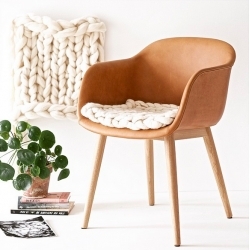 Chunky Knits are getting more popular and look so cozy! 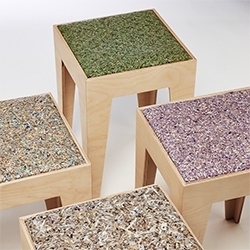 Nice DIY for chunky knit wool seat pads by lebenslustiger. 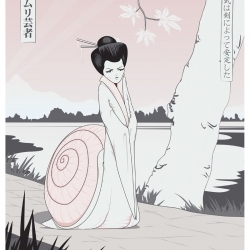 JPK releases his latest print, "Katatsumuri", an edition of 30 on 380gsm recycled pulp paper with a lovely and subtle iridescent finish. 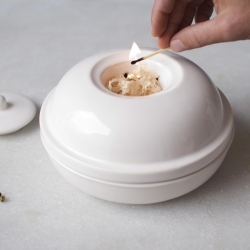 Smoker by Francesco Sillitti is a tool designed for cold-smoking, made ​​entirely of ceramic, which allows us to flavor different types of food. 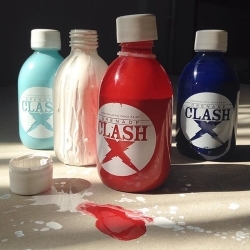 Grenade is the ultimate thermoplastic paint refill for markers, designed and formulated in Italy by Clash. UV-resistant and buff proof! 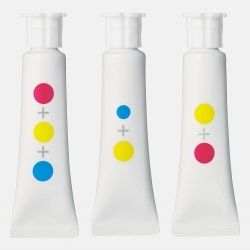 Japanese designer duo Yusuke Imai and Ayami Moteki have created a set of “Nameless Paints” whose colors are simply identified with visual depictions of the primary colors mixed inside. 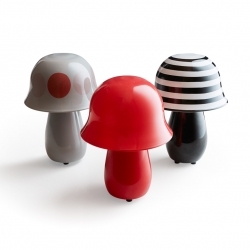 Hoplow&Family Lamp design by Quarch Atelier. 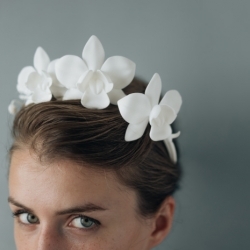 Incredible floral 3D-printed headpieces and jewelry by Collected Edition. 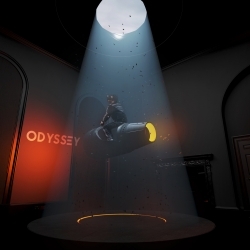 VIDEODesigner Tino Schaedler of Optimist Design joins forces with director Nabil and their company United Realities, to create the airtual reality experience at this year’s London Design Festival. 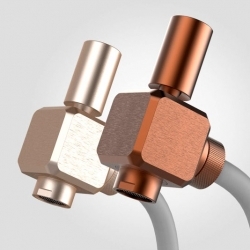 Adriano Design introduces the new multifunctional water tap system Dueacca, designed for Verum Italy at 100% Design London. 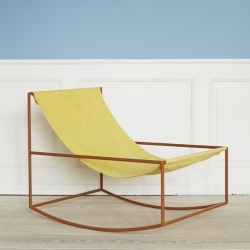 Belgian designer Muller van Severen has created a series of concept chairs using only two materials. Limited edition, hand made pop up book from Poposition Press featuring work from Junko Mizuno (pictured), Tara McPherson, Skinner, kozyndan, Aaron Woes Marting and Jim Mahfood. 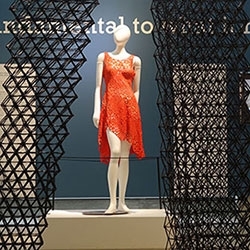 Designers, Makers, Users: 3D Printing the Future is an exhibition at the Museum of Design Atlanta (MODA) that demonstrates the many ways that 3D printing is changing design.